Democrats of Orleans County, New York. A debate between Leecia Eve, Sean Patrick Maloney, Zephyr Teachout, and Letitia James, 2018 Democratic candidates for NY Attorney General, will be held on Thursday, September 6, 2018. The debate will be held at The Cooper Union at 7:00 – 8:30 PM and can be livestreamed on www.Facebook.com/cooperunion, www.youtube.com/cooperunion and CAFE.com. Watch the debate and remember to vote in the primary election on Thursday, September 13, 2018! 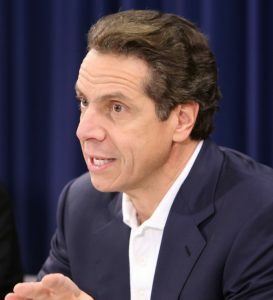 A debate between Cynthia Nixon and Andrew Cuomo, 2018 Democratic candidates for NY Governor, will be held on Wednesday, August 29, 2018. The debate will be held at Hofstra University at 5:00 PM, but broadcast on CBS at 7:00 PM. The NYC CBS station, newyork.cbslocal.com, will have a link on their web site for viewing the debate, though they say CBS stations throughout New York may be televising the debate. Federal Prosecutors have announced the ARREST and INDICTMENT of Republican Congressman Christopher Collins on securities fraud charges. 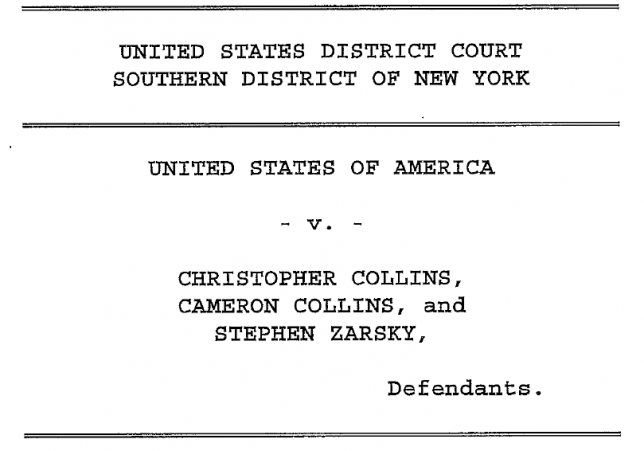 Christopher Collins is another sad example of a rich crook rigging the system and positioning himself to funnel as many financial gains as possible to his own pocket, while finding ways to saddle the rest of us with any losses – all while pretending to be our friend and protector. Let’s all call on the Orleans County GOP to dump their endorsement of this turkey for this fall’s election, demand his immediate resignation, and endorse our honest candidate, Nate McMurray. We need someone who will represent all of the people of NY-27, not a greedy and corrupt few. NYS Primary Election: Thursday, September 13, 2018. Polls open: Noon to 9:00 PM. NYS General Election: Tuesday, November 6, 2018. Polls open: 6:00 AM to 9:00 PM. Voter Registration: In New York you can register online, in person, or by the mail. The main dates this year for NYS voter registration are August 19th for the primary election and October 12th for the general election. But, there are some different dates for changes, absentee ballots, etc. You can stop by the Orleans County Board of Elections for more information or to register. You can also visit the NYS Board of Elections website to download a registration form that you then mail to our Orleans County Board of Elections. Or, if you have an account with the NYS DMV website, you can register there online.